» BlazeVideo Game Camera: The Best Camera for Hunting? What makes a good game camera? Some might say that it has something to do with durability. This is really logical because game cameras or trail cameras are exposed to harsh environments. Others tend to like those that have a high motion sensitivity. Again, that factor is also important because a trail camera should always be able to capture any type of motion so as not to miss the big game. A lot of people also like the convenience of being able to view images and videos from the comfort of their own home, and this has something to do with connectivity and consistent transmissions. With those in mind, one can say that it is hard to find a trail camera that has it all. But here comes BlazeVideo and their 16MP, 1080P Game Camera. It is said to be a multifunction game camera that is not only convenient to use but can also provide high-quality performance. In today’s article, we are going to see if there is any truth to this claim. We are going to take a look at the features of this product, and at the same time, we are going to list the pros and cons. Finally, we will also compare it with a similar product so we can see which one is better. Want to know if the BlazeVideo Game Camera is the real deal? Then, keep on reading! Similar to any other game camera, it has a square shape. Although it does not have an antenna, it still has great range due to its cellular capabilities. 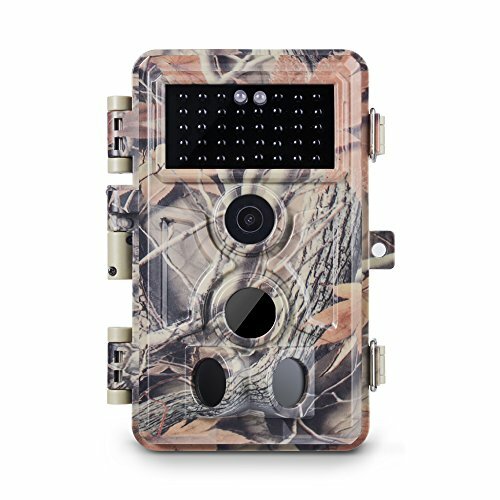 Further, this game camera comes in a hardshell case, which has three varieties. These are black, green, and no glow. In terms of its controls, this game camera has a simple easy-to-push button design. The LCD is 2.4 inches. The trigger time and trigger distance can also be controlled with just a push of a button. The quickest trigger time is 0.6 seconds, and the trigger distance can be up to 65 feet or 20 meters. Moving on to its other features, this game camera shoots at HD for images and videos. For the images, the maximum setting is 16MP. For the videos, it is 1080P. When shooting at night, it turns into a monochrome mode. At the same time, it has a cam + video mode wherein both the image and video will be captured when a trigger happens. Moreover, there is also a time-lapse mode. This mode can also be customized wherein you can set the interval of the captures or when you want to capture the whole day in time-lapse automatically. As for its PIR sensor, it can detect at a wider angle and its night vision is up to 65 feet or 20 meters. Additionally, it can operate at these temperatures: -4~+140°F/-20 ~+60°C. It also claims to have long battery life even in standby mode. It can approximately last for three to six months. There is also an auto power off function where it will automatically turn off in five minutes. As for security, you can set a password, and it also has a serial number function to track the location from where the image was captured, in the event that it gets stolen. 1. HD Image & Video and PIR Function: Capture max 16MP images and 1080P videos when motion detected (monochrome at night). In "Cam + Video" mode, images and videos could work together at every trigger. SD card support up to 32GB(not included in package). 65° PIR sensor detect wider and night vision up to 65ft/20m. 2. Stealth Design & Energy-efficient: Camo design makes the camera stealth for wildlife observing and researching of wild animals; ideal for riding, camping and exploring as sport camera, even role as security camera for home and office. Operating temperature is between -4~+140°F/-20 ~+60°C. Long in-field battery life in standby mode, up to 3 - 6 months with 8*AA batteries and Auto power off in 5 minutes while no keypad controlling, more energy-efficient. The BlazeVideo Game Camera’s best feature is the fact that it can take high-quality images and videos. However, do not expect the same quality in infrared mode during nighttime. Also, its motion sensitivity is high enough to even account for false triggers. Further, its design is good enough to camouflage itself in trees or bushes. While it does have WiFi connectivity features, the transmissions themselves are tricky to figure out. Finally, it has a set-it-and-forget-it mechanism, which might make you really forget about it because its battery life is long. 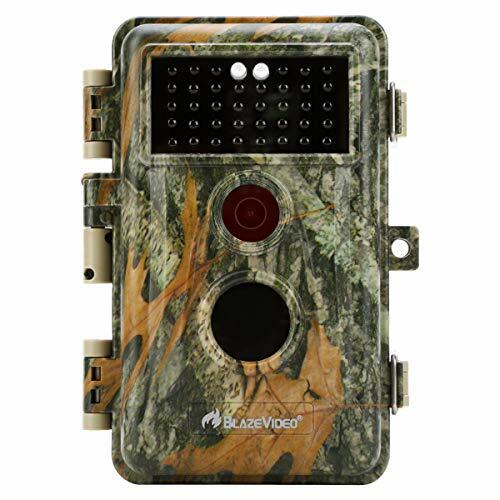 The Meidase Trail Camera has similar features with the BlazeVideo Game Camera. It can even be said that the former is better than the latter as it has a faster trigger speed, which is at 0.2 seconds. However, the most significant feature of the one from Medaise is the fact that it can also capture high-quality images and video—even at night time. Surely, this is a feature that the one from BlazeVideo lacks. Is it enough to beat it? Moving forward, another good feature of the Meidase Trail Camera is its three different camera modes. It does not only have normal capture mode and time-lapse mode, but it also has a loop mode. Again, that is a feature that the one from BlazeVideo does not have. As for the security features, both products are pretty much the same. They both have the ability to store passwords and do serial code detection. Lastly, in terms of battery life, both game cameras have the same longevity, which is estimated at around three to six months, depending on use. So, which one is better? Let us find out. Although the Meidase Trail Camera captures good images and videos, the BlazeVideo Game Camera is still better. With that said, we are not saying that the BlazeVideo Game Camera is the best one in the market. If your priority is high-quality captures, though, then this product is worth your while. Although it claims to be a very powerful gear for hunting, its functionality says otherwise. What is more confusing is the fact that it has WiFi connectivity features, but the transmission is lost during the setup. It would have been better if they have a working application for you to receive data about triggers, but they do not. That is the least of your problems, though, if your only concern is the transmission. Other than that, the game camera works well and is sensitive enough to capture even the slightest of movements. 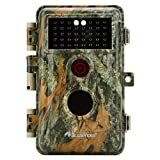 Checkout the BlazeVideo Game Camera and the Meidase Trail Camera on Amazon.